What is meant by the Internet of Medical Things? 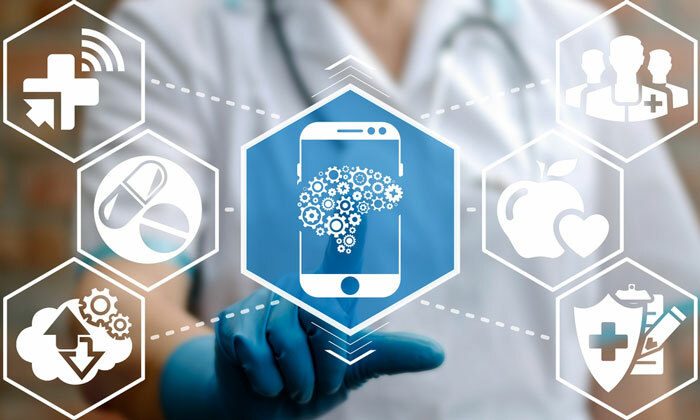 Internet of Medical Things, or Healthcare IoT, refers to a connected infrastructure of medical devices and software applications that can communicate with various healthcare IT systems. 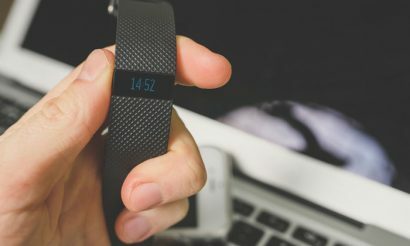 As an example, this can be thought of as simply as someone who wears a FitBit to track his or her steps; that step count is tabulated on an iPhone via Bluetooth technology; and then that data can be shared with a physician to provide feedback via Wi-Fi connection and automated reporting data, and it can also send that data to your closest friends and family. From the FitBit to the physician’s report, that is an IoMT system that connects patients, healthcare providers, and patient families via technology and software with a foundational mission to optimise for better health in faster and easier environment. Now extrapolating that example to a more complex but real world solution, imagine a patient who has Parkinson’s disease, dysphagia (a condition noted by difficulty with swallowing), and depression. It is reasonable to presume that this patient who suffers from hand tremors, difficulty swallowing, and severe depression, could very well be on 8-10 different medications and must go visit his or her physician often for maintenance and evaluation. Or even less appealing, the state of this patient could be so severe, that they require full time skilled nursing care in the confines of a nursing home or assisted living facility. Imagine much like a FitBit, you could take a device and instead of the patient wearing it on his or her wrist or clothes, a physician implants that device in the chest. That device then has wires that run underneath the skin to various nerves in the body and to the deep parts of the brain. That device can then send specific amounts of electricity to the nervous system at various times to disrupt the diseased pathway and restore the patient to normal health. The data related to how much stimulation is being used and how often, how the disease is progressing, and other baseline biometrics that affect the patient’s quality-of-life can all be collected by that same device and sent remotely to the physician for monitoring and adjustment of the therapy – all without a visit into the doctor’s office. So, going back to the example, this IoMT solution could manage this patient’s co-morbidities in a substantially improved manner so much so that the patient could experience complete restoration of quality-of-life with minimised doctor’s office time. This is what we are doing with IoMT. What are the dangers of IoMT? The greatest danger related IoMT is the high barrier of entry to truly disrupt the healthcare industry and to change the way disease is treated. There is a threshold for the speed at which anyone can execute on delivering these innovative solutions to a population and industry that so desperately need change. I understand the importance of balancing the introduction of innovation with appropriate regulatory compliance such that we can ensure the delivery of the safest products. More specifically, in a field that has a direct effect on people’s health and wellness, we must be deliberate; we must be excellent; and we must be right. However, with bioelectronics, we are introducing the technology that will roll out systems that will very much revolutionise the way we think and approach medicine and healthcare. 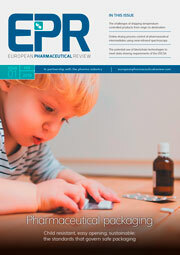 With each change inherent in the introduction of these systems, there are massive regulatory hurdles that require significant amounts of resources, even more so than a typical medical device pathway to commercialisation. 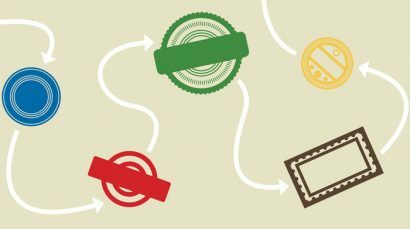 And beyond the historically proven 10 years and $30M to take a medtech product to the US market, there is the added burden of competing in a commercial space against pharma and other medtech conglomerates that have 1000x more resources and power to squash any new competition, even if the solution is what’s best for the patient. So while I am confident that these solutions will be in place for my children, this is how they will grow to think about and treat disease, I don’t know if my parents will have the same opportunity to access these great solutions. What is the opportunity cost of these high barriers to entry? How many lives could be restored, enhanced, or even saved if we could execute faster? All that being said, our team at Nexeon is up for the challenge. We know we have the right solution. We will work to optimise within the current system. We are preparing for a David and Goliath battle to commercialise our solutions worldwide. We are actively engaged with doctors and patients today such that we get the feedback needed to continue to build the products that are needed and wanted. What are the benefits of IoMT? Adaptability: Because our systems are built on a feedback loop, the system iterates on that feedback and adjusts for improved patient outcomes. How can we ensure the security of patient information within IoMT? With the same energy that we are attacking this progress towards the best devices, the best software, and the best solutions, we are eagerly attacking the front on how we protect these systems and the security of patient information. Getting cyber-security of IoMT “right” is of paramount importance to the successful execution of integrating these systems into our current healthcare infrastructure. 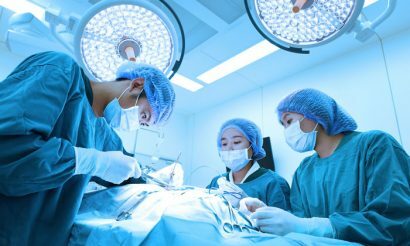 Why do you think there are so many medical errors in hospitals? Errors are an assumed part of any process. But what we want to do is minimise that error margin. In our current healthcare system, the occurrence of medical errors is influenced by a number of various inputs. Hospitals are at over-capacity. While the initiative to increase access to care is of vital important, we are left with the ripple effect question: “How do we maintain the same level of care for more patients but with the same resources?” Most hospitals are at or over capacity. When any system is maxed out, the error margin increases drastically. Patients are sicker than ever. Co-morbidity management is more difficult than it has ever been. Change is slow in healthcare. While there has been the introduction of technology and software across all industries over the past few decades, healthcare is one of the slowest industries to take on change because of major regulatory approval requirements to ensure patient safety and confidentiality. What do you think are the solutions to this problem? Increased patient accountability for their own health and wellness; preventable diseases would best be approached with preventative medicine versus drug, procedural, or technological solutions. Do you think that IoMT will make human doctors redundant? The care, skill, and judgement of a physician who can combine experience with didactic knowledge can never be replaced. The objective of IoMT systems is not to replace healthcare providers, but in fact eliminate waste and supplement information within this system so that our doctors can focus on what only they can do, which is diagnose and treat. What does the future hold for healthcare in terms of IoMT? The future is glaringly bright for in this space. The introduction of these systems to resolve an over-burdened system caring for overly-sick patients will make a profound impact on how our communities grow older and how we take care of our sick. Beyond that, the future of IoMT is when we have mastered these systems for the treatment of disease and for the delivery of therapy, and we begin to use these systems for enhancement of already healthy individuals. As an example, DARPA is currently funding a program at UTD to study the use of paired plasticity neuromodulation for expedited language learning; they’ve identified use of bioelectronics and IoMT as a potential tool to prepare and train special agents and members of the military. I’ve actually contributed to a video game set in the future and centred around the integration of remotely-monitored, human augmentation bioelectronics. This short trailer is a good teaser for the full documentary on how many of us in this space are thinking about the future. 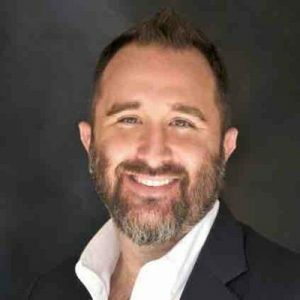 Will Rosellini is the Chairman & Chief Executive Officer of Nexeon. A former minor-league pitcher, Rosellini holds five master’s degrees in addition to a law degree. He is a 15-year veteran of the neurotechnology space and has expertise in accelerating the development of emerging technologies with minimal at-risk capital. Rosellini founded Microtransponder in 2006, in 2012, Rosellini left his position as CEO at Microtransponder after temporarily losing his voice to thyroid cancer. He has since been acquiring technology and intellectual property, launching preclinical and clinical programs, and raising non-dilutive and at-risk capital to support the launch of Nexeon’s next generation of viable medtech products and associated remote management software platforms.